Annabeth Rosen: Fired, Broken, Gathered, Heaped (installation view), 2017. Photo by Gary Zvonkovic. Courtesy of the artist and the Contemporary Arts Museum Houston. Bloomfield Hills, Mich., August 16, 2018— This November, Cranbrook Art Museum will open three exhibitions that showcase the incredible range of alumni and Artists-in-Residence that have emerged from Cranbrook Academy of Art and the significant impact they have made in the art world. Annabeth Rosen: Fired, Broken, Gathered, Heaped; Binion/Saarinen: A McArthur Binion Project; and Danielle Dean: A Portrait of True Red will all open at Cranbrook Art Museum on November 17. 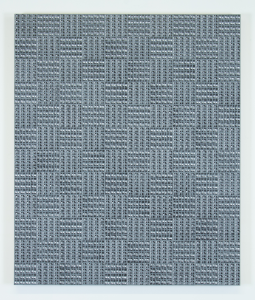 The Annabeth Rosen and McArthur Binion exhibitions will run through March 10, 2019, and the Danielle Dean exhibition will close on January 6, 2019 to be followed by an upcoming exhibition by Cranbrook Academy of Art Ceramics Artist-in-Residence, Ian McDonald. The exhibitions will open with a special celebration on Friday, November 16 from 6–9pm. All exhibitions will open to the public on November 17. Annabeth Rosen: Fired, Broken, Gathered, Heaped is the artist’s first major museum survey that chronicles more than 20 years of Rosen’s practice. 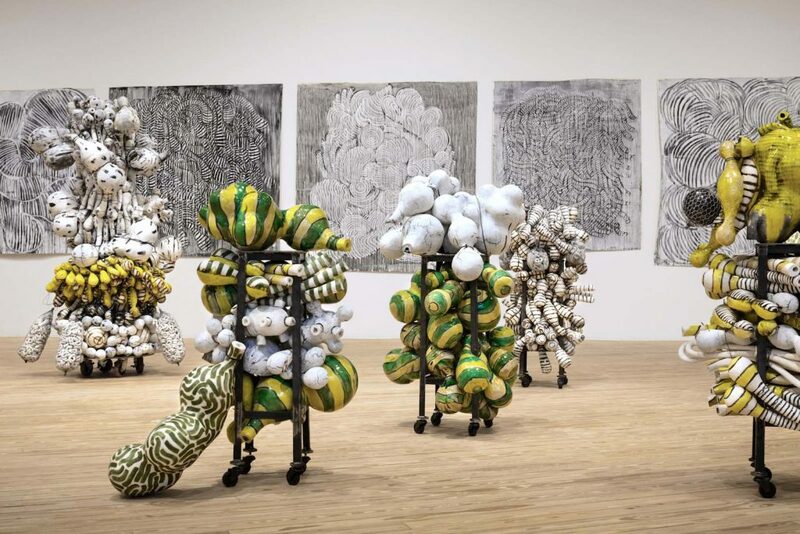 A 1981 graduate of Cranbrook Academy of Art and a critically-acclaimed pioneer in the field of ceramics, Rosen brings a deep knowledge of the material’s history and processes to the realm of contemporary art. The exhibition comes to Cranbrook from the Contemporary Arts Museum Houston where it debuted in 2017. It was curated by Valerie Cassel Oliver. Oliver and Rosen will both discuss the exhibition at a public lecture at Cranbrook Art Museum on Saturday, Nov. 17 from 1-3pm. binion/saarinen: one, 2018, 48″ x 40″ x 2″, oil paint stick and paper on board. Courtesy of the artist. In the studio of Chicago-based painter McArthur Binion, a handwritten note has been pinned to the wall for a decade that reads “Binion/Saarinen.” The artist’s initial concept was to create a painting inspired by architect Eliel Saarinen and his design of Cranbrook’s historic campus, where Binion received his MFA in Painting in 1973. Through this new exhibition at Cranbrook, this early spark of an idea will be realized with the debut of seven new works created by Binion displayed alongside a selection of Saarinen objects curated by the artist. Binion is returning to the genesis of his painting practice rooted in his formative years at Cranbrook, where he spent a significant time exploring the grounds, architecture, and designs of Saarinen. As an exercise in autobiographical cartography, Binion’s new works will be derived from research of Saarinen’s biography and exhibited alongside selections of the architect’s drawings, concept sketches, and design objects, as well as one work from Eliel’s son Eero Saarinen. Born in Mississippi on a farm and raised in Detroit, Binion repeatedly uses documents of his life—his birth certificate, personal phone book, identification portraits—as the first layers in his paintings. He then builds the surface with hard-pressed oil stick or crayon in grid patterns, creating a visual profile that aligns his work within the traditions of postwar abstraction and Minimalism. However, personal biography is typically absent in these movements, and Binion’s work communicates a distinctly African-American narrative and a pursuit of selfhood. 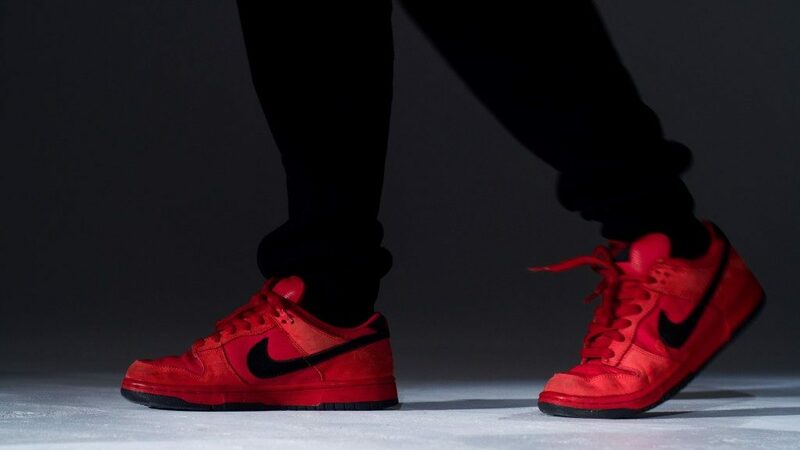 Danielle Dean: A Portrait of True Red (2016) is a first-person narrative told by Sam Jones, a fictional character who merges with a pair of Nike’s “True Red Vampire” sneakers (Dunk Low Pro SB, 2003). Her story weaves together historical accounts and contemporary texts from numerous sources, including Tacky’s Rebellion, a slave uprising in Jamaica (1760); police brutality towards Black Panther member Assata Shakur; violence against factory workers in contemporary China; and excerpts from Nike advertising copy and product reviews. Minimally staged against a backdrop of cast shadows that recall the bodily gestures and athletic poses from Nike commercials, the protagonist dons a pair of the vermillion trainers while relating a tale of vampiric colonialism and the violence of subjugation. Dean’s work examines the construction and commodification of race, gender, age, and class, while exploring themes of colonialism and global capital, often by blending fiction and reality and blurring subject and object. Danielle Dean is Artist-in-Residence and Head of the Photography Department at Cranbrook Academy of Art. Her work has been presented at numerous venues in the U.S. and abroad, including Lafayette Anticipations, Paris; Studio Museum Harlem, New York; Hammer Museum, Los Angeles; and the Museum of Contemporary Art, Detroit. Danielle Dean: A Portrait of True Red is organized by Cranbrook Art Museum and curated by Andrew Blauvelt, Director with the assistance of Ian Gabriel Wilson, Jeanne and Ralph Graham Collections Fellow. Cranbrook Art Museum exhibitions and programs are generously supported by the Maxine and Stuart Frankel Foundation.